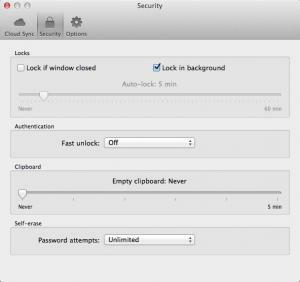 SafeInCloud lets you store sensitive information, like passwords or bank accounts, in a secure database, in the cloud. The application places many options at your disposal, which make it quite flexible, especially when it comes to customization. It gives you complete freedom to choose what data to store and where. What's more, the application is available for Mac OS X, Windows and for Android and iOS mobile devices, so you can access your important information from anywhere in the world, even on the go. Database entries are listed in a column, in the central region of the interface. Additionally, you can filter the entries to show favorite ones, entries with same or weak passwords and others, by selecting one of the filters, on the left side of the interface. The actual information in an entry can be found in another column, on the right side of the window. New entries can be created by filling in a series of input fields. The best part is that SafeInCloud lets you choose what input fields should be available. You can add fields for text, numbers, passwords and other bits of information. Of course, the application comes with various templates, so you don't have to add input fields each time you wish to create a database entry. SafeInCloud is capable of synchronizing your database with a cloud of your choice. You can set the application to store its database on Dropbox, Google Drive or other similar services. This gives you the possibility of accessing your stored data over the Internet, on almost any devices. With SafeInCloud, your data will be kept safe at all times and you will be able to access it on the fly, from anywhere in the world. You can add your own input fields when creating a database entry. The application stores your sensitive information in the cloud, where it is heavily encrypted. Its controls are well organized and easy to master. You can download SafeInCloud free here.